We understand your requirement of winding up after a stressful work routine. Thus we provide you with the most suitable place to forget all your worries and enjoy a drink session near the picturesque sight of the pool. The lobby bar of Crystal presents an excellent array of world’s best cocktail and mock tail. Just pick one as per your taste and enjoy the drink with your friends. The hospitality and friendly service of our staff will make you feel you are living in some kind of royal era. 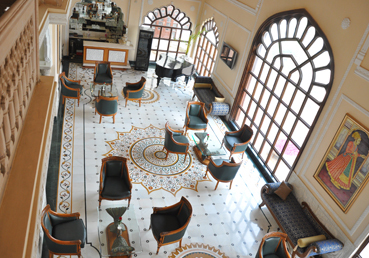 Serving you is our pleasure which is further mated with the stunning view of inside and outside the bar. Along is the richest assortment of world’s best wines which always provide you with something you desire.